Someone Bought This: Batman wrestling comic book - WrestleCrap - The Very Worst of Pro Wrestling! Check out this new comic based on the classic Adam West Batman series. Batman’s pursues The Riddler to a wrestling arena, where the Prince of Puzzles is backing a powerful masked wrestler by the name of Bane! Will the Caped Crusader meet his match in the ring? 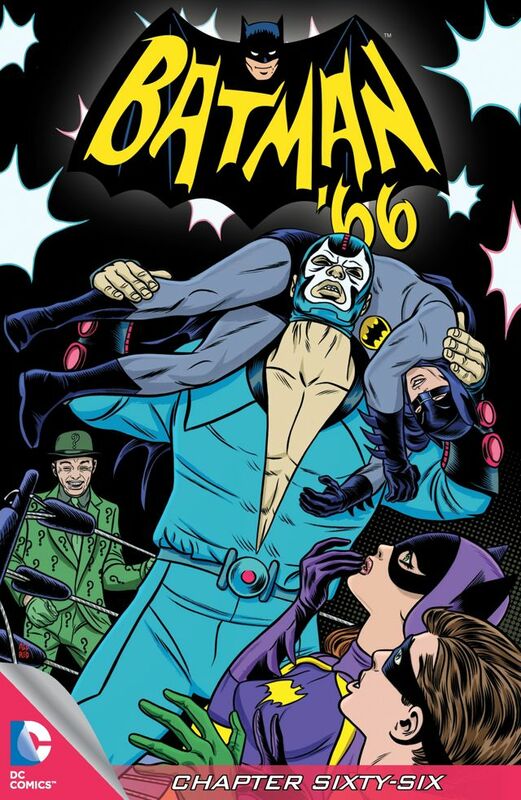 10 Responses to "Someone Bought This: Batman wrestling comic book"
That’s kind of a cheat using Bane in the 60’s era since he wasn’t around as a character then. The back breaker would be his favorite move though. Batgirl may not be great at wrestling but I’d sure love to see her box. Apparently the comic also did a ’66 version of Harley Quin. So I guess re-imagining modern Batman villains in the ’66 style is a thing now. That’s such a cheap cop out to do. They had plenty of villians on the show to use. Granted some were pretty goofy but that was the point of the series. I watched re-runs of the show over 30 years ago and was so excited to get the whole series on blu ray last year, it still holds up for me ss great entertainment. How many Crappies were aware that the actor who played Bane in the “Batman and Robin” with George Clooney was a wrestler? Here! Here! *waves arm up in the air*. and the guy who played Bane was in No Holds Barred and wrestle as the Ultimate Solution with Z-Gangsta/Zeus in the Doomsday Cage match. 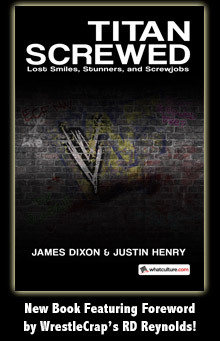 Both are in the Wrestlecrap Hall of Shame! Is that Bane or The Blue Demon? That picture of the Riddler on the cover is the worst rendition of Frank Gorshin that I’ve ever seen. He looks like he’s constipated. King Tut and the Iron Sheik: Evil foreigner. Egghead and the Genius: Intellectual superior than the good guys. Mr. Freeze and Randy Orton: Cold and calculating. The Joker and Doink: Evil clowns. The Riddler, as played by Michael Myers. Oh, behave! Edge was gonna play Egghead once but the deal fell through.